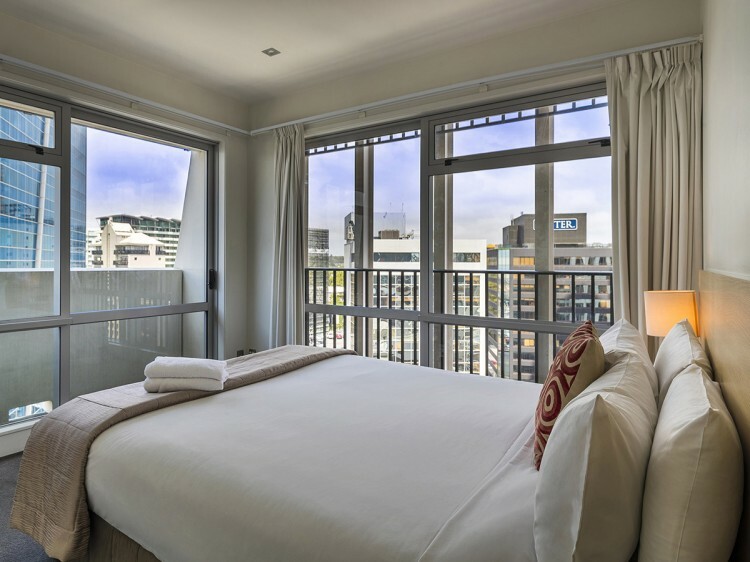 The tallest apartment tower in New Zealand, Auckland Harbour Oaks offers Auckland CBD apartment style hotel accommodation with sweeping views of the harbour and city. 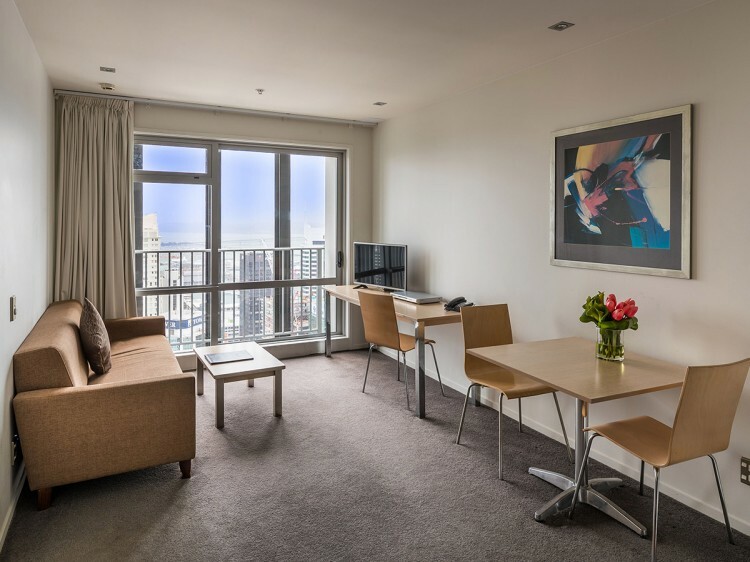 Centrally located on the corner of Fort and Gore Streets, this modern complex contains 37 levels consisting of Studio, 1 and 2 bedroom apartments, all with full kitchen and laundry facilities. 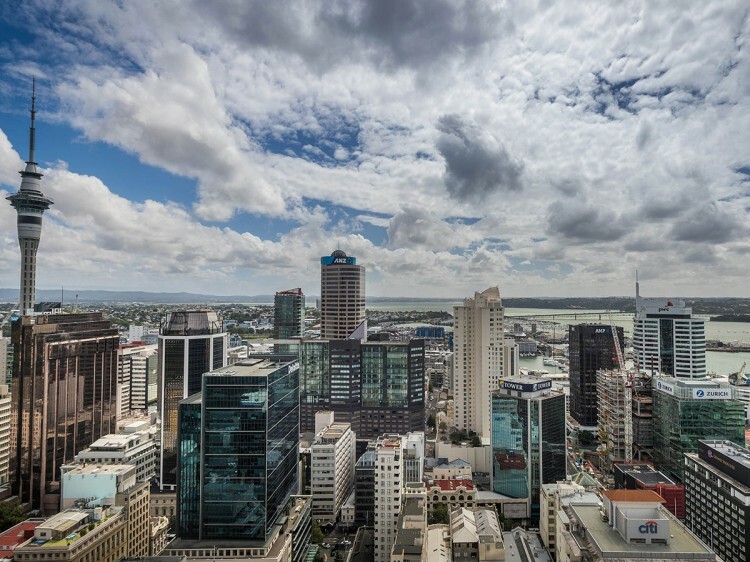 Just a short walk to the Auckland Waterfront, the Britomart Transport Centre and the Viaduct Harbour, Auckland Harbour Oaks is ideally positioned for guests attending concerts and events at Vector Arena or The Viaduct. 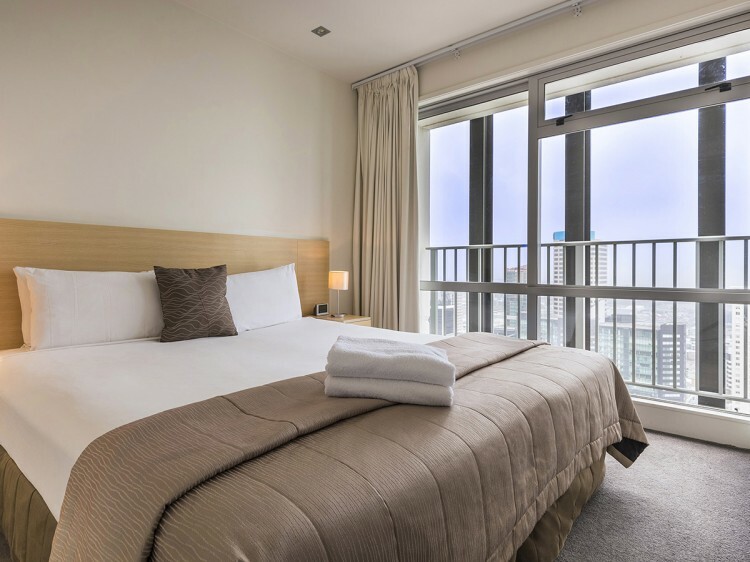 Please note: Upon arrival at your selected property a Credit Card pre-authorisation will be required and will be used to cover incidental items. Cash is not an acceptable form of bond when staying with Oaks Hotels & Resorts and a valid credit card must be presented upon arrival. For further information on this practice, please contact the property directly.